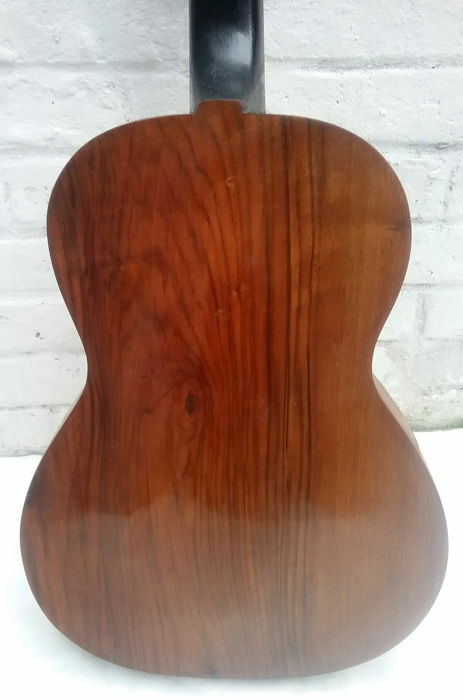 Antique SILVESTRI acoustic guitar, solid carved wood! Handmade in Sicily in the late 19th / early 20th, between 1890 and 1910. 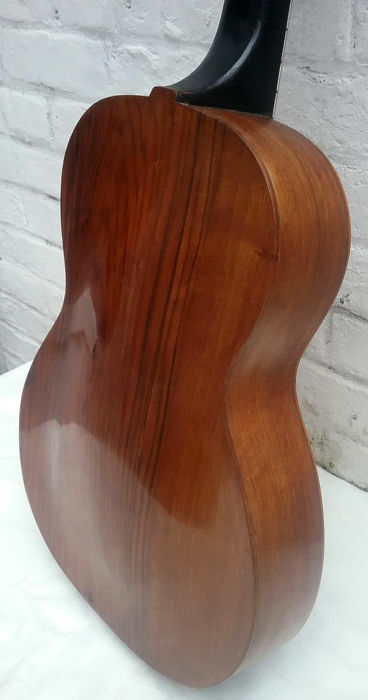 Spruce top, solid walnut sides and sculpted solid walnut back, curvy gypsy look. 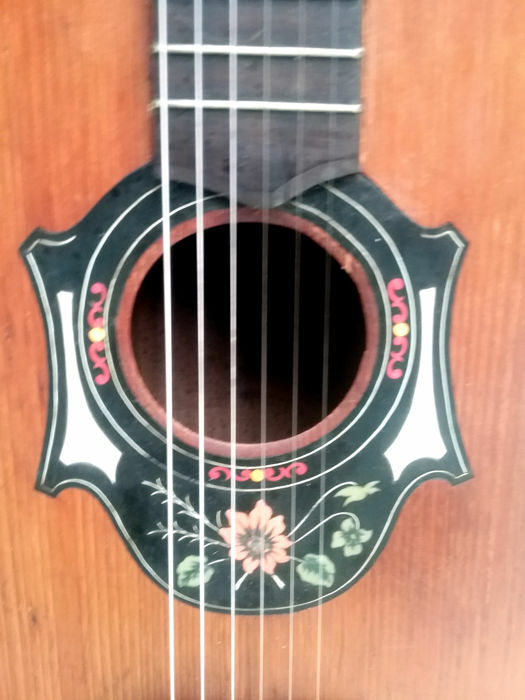 Very nice floral Art Nouveau type decoration around the sound hole. 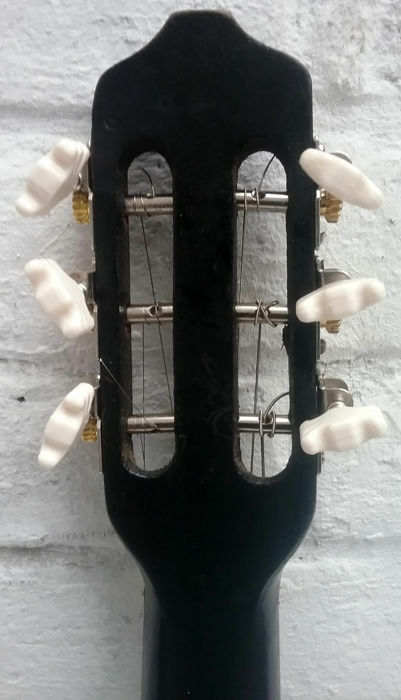 Some wear on the top and here and there, but the guitar is still in very good condition, perfect for playing, low action, new machine heads. A real collector's item, unique model. Good in every way! Highly recommended. Fast delivery. Expected like in the description. All good. No surprises. Well packaged. 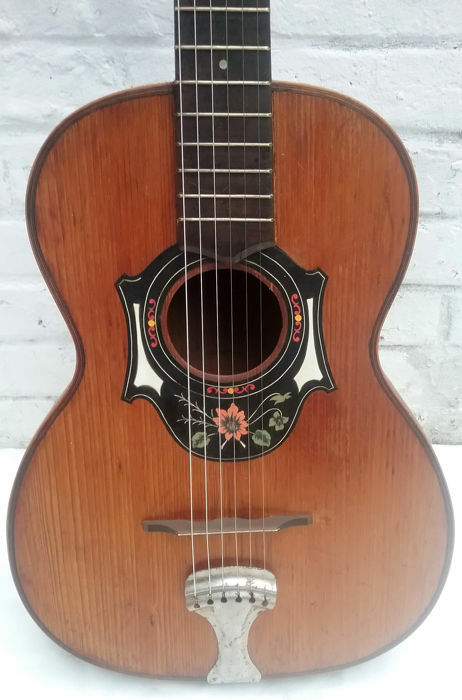 This guitar has been restored by master luthier from 30 years who had many classical guitars and Ramirez ,I had also more than 3000 guitars in my life and many old Ramirez , This is a true Ramirez , a study flamenca one from the 50's - there are several same guitars on Internet. Litle bit problem,the guitar menzura,biger,not 630m/m, but 640m/m. If you have a problem with shipping, send me a mail and not put a negative comment !!!! I live in Belgium, you in Spain, and there were closed days with Christmas, so of course it takes time !!!! 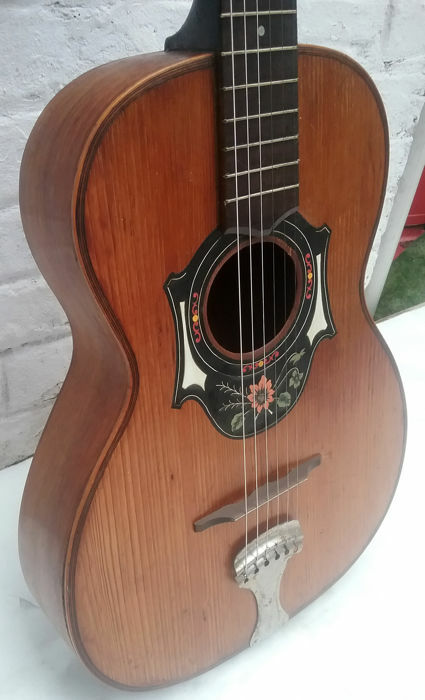 Buyer complety full , he complained about the price that he knows, he complained about all, he bought a good guitar for 125€ and complained ....completly unhonest and ridiculous, a byer to avoid ! i never saw that before ? Great seller, recommended. Bought a guitar, it was packaged ok, was quickly handled over to carrier, and guitar was as described. It is a beauty, thanks! 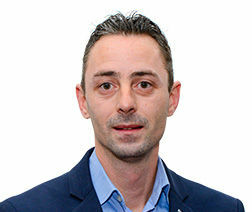 Helemaal wat beschreven werd en wat ik ervan verwacht had! The buyer said it has problems, but i don't know what for problems. He put negative comment befor having explication, i think it's completly stupid. I still don't know what is the problem. Das Gerät ist heute wohlbehalten angekommen und funktioniert gut . Ich bin sehr zufrieden! Gitarre nicht bundrein.Verkäufer widersetzt sich EU-Mangelgesetz,unterstellt unlautere Absichten und wird dann noch frech=ein Schaden für sein Gewerbe und Catawiki. This buyer is a thief and a hustler! He claimed that the guitar cannot be tuned only to have it free. His place is in jail or he should be out offall sales on the internet! 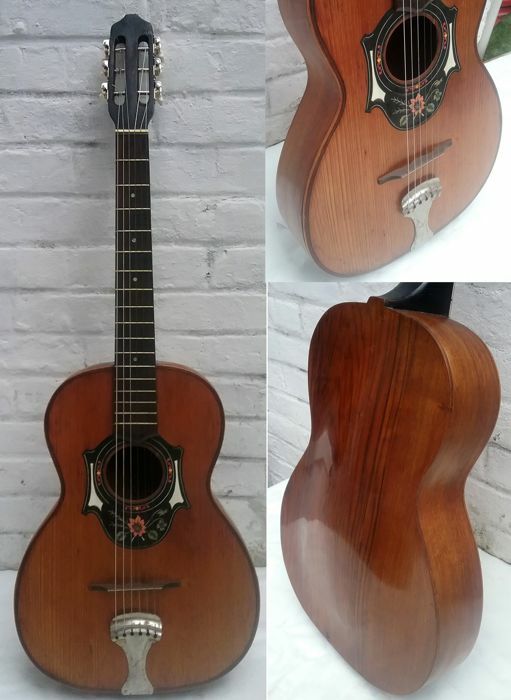 Deze Flamenco gitaar heeft geen Golpeador (tikplaat) hoewel gesuggereerd was dat dat wél zo was. ???? Are you blind or can't you read ???? This comment is completly false !!! it's intolerable to write such things ! 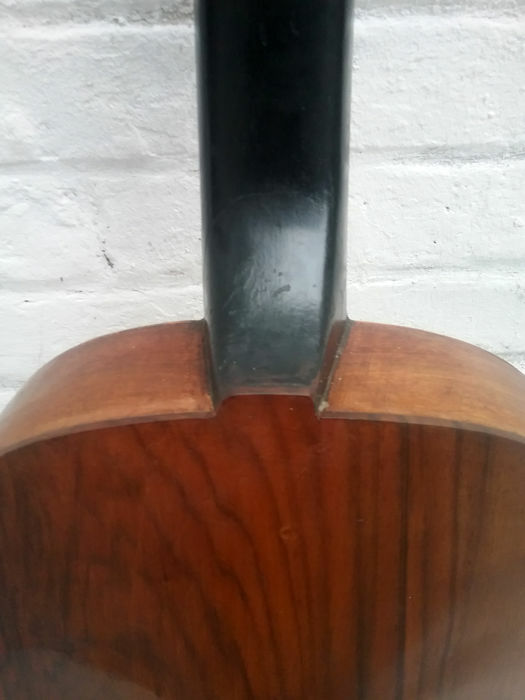 Seller was quick to reply to any querry.